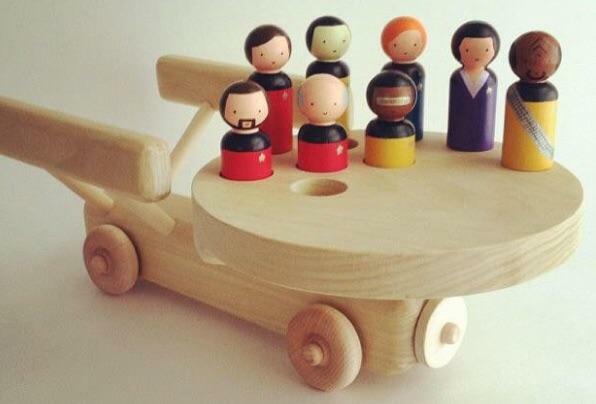 Carved from the wood of the captain’s log. Who’s missing in the empty hole? Guinan? If this were actual Star Trek, Worf would be in the corner of the room after being thrown dismissively to prove how badass the villain is. Recommended ages? I can see myself fishing Jean Luc out of my 2 year old’s throat. Tell him Mansel Sooner sent ya. Why is Number 1 so short? He’ll never be able to do the [Riker Chair Maneuver](https://goo.gl/images/6ZDE7j) at that size!